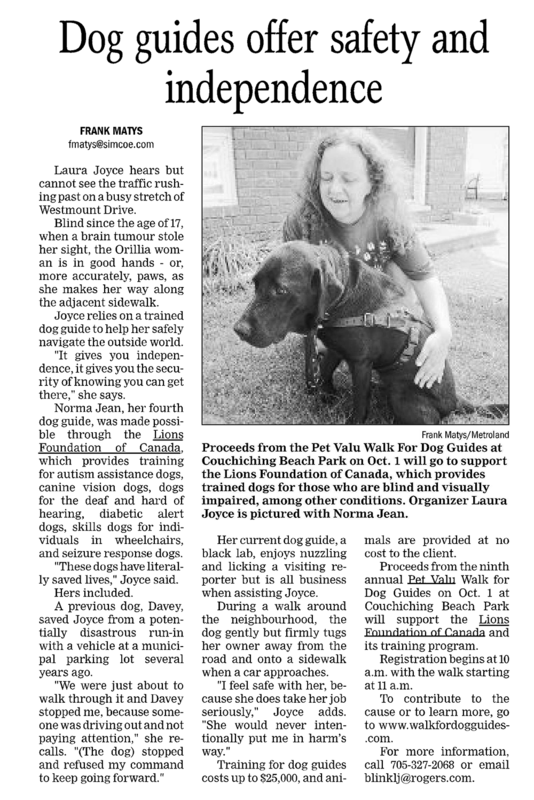 Welcome to the media page for the Pet Valu Walk for Dog Guides. 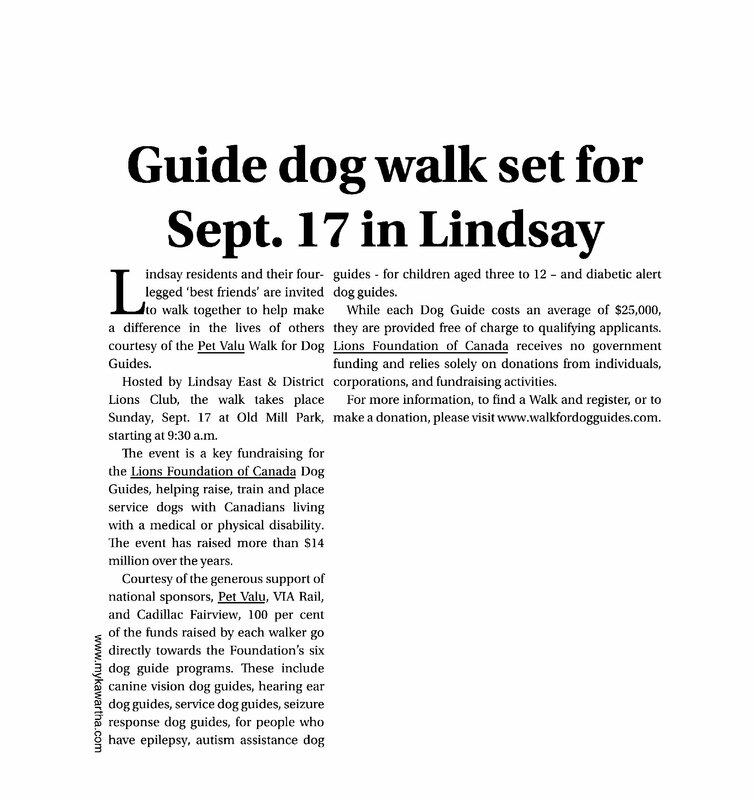 For more information about the Walk or Lions Foundation of Canada Dog Guides, please download the Media Kit. If you are writing an article, seeking a media interview, or require information, images, or would like to contact a spokesperson in your area, please contact us. 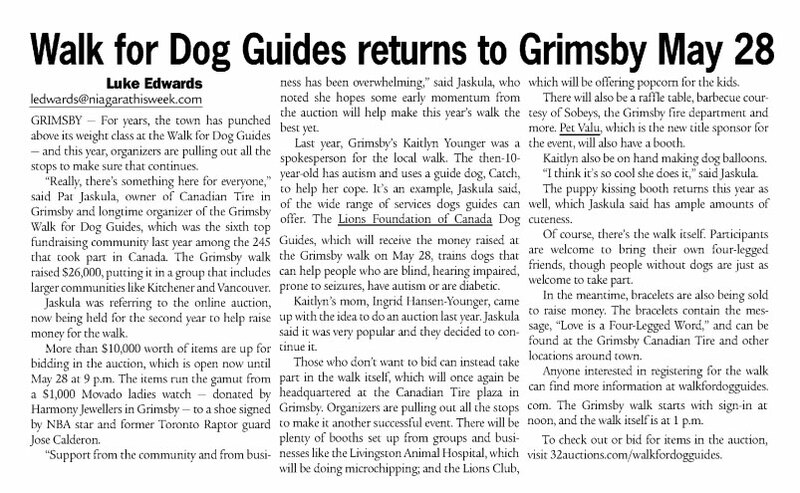 Keep up-to-date with Pet Valu Walk for Dog Guides news coverage. 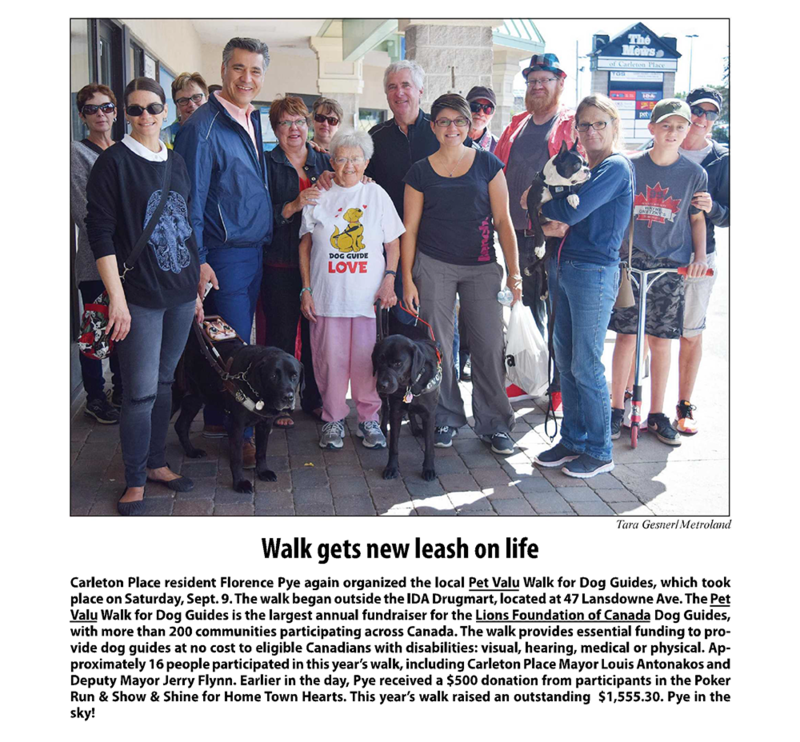 To view articles and news releases, click the links below.